Medium Leather is valuable on the auction house, and you only need to be level 28-30 or so to farm it. It’s is used by Leatherworkers, mostly to level from about 100-150. You should be able to sell it anywhere from 40 to 100 gold for a stack of 20. When you post this on the auction house, keep in mind that the person buying is probably going to buy anywhere from 2-5 stacks, so you don’t have to make yours the cheapest. Update: You can make a lot of gold with Medium Leather, but if you want to step it up and make thousands of gold you should read my personal favorite guide. 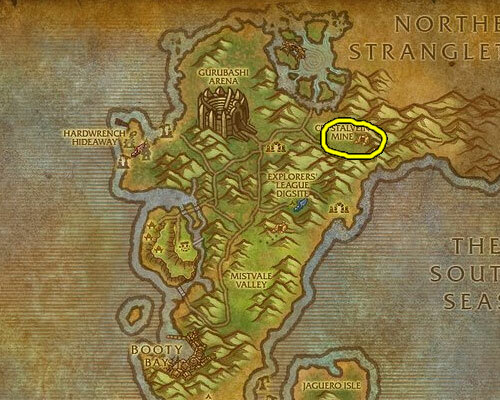 The absolute best place to farm Medium Leather is in the Cape of Stranglethorn. 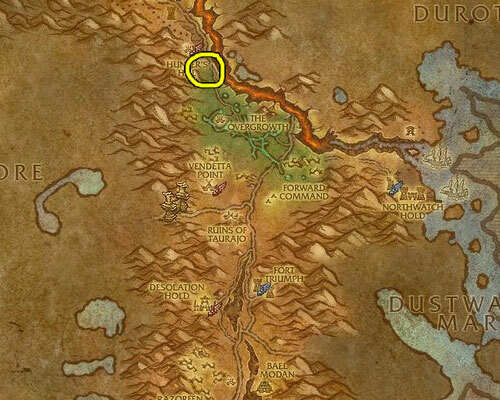 Circle the are outside of the Crystalvein Mine looking for Ironjaw Basilisks and Thrashtail Basilisks (levels 28 through 30). The cave is packed with basilisks and they almost always drop Medium Leather. If you manage to clear the cave, head outside and farm the basilisks around the entrance to the cave.